and explains his interpretation of each word in great detail. That's what he does in general, his descriptions and definitions are both precise and concise, and he always takes the time to share the etymology of each term with us. Sustainability is not just about the environment or "saving the planet". Ehrenfeld explains how humans have alienated themselves from nature und by this picked up habits that lead to unsustainability. He describes two basic system archetypes of behaviour, "fixes that fail" and "shifting the burden". Almost all human problems are solved by a quick technological fix (humans nowadays are overly optimistic about technology), which most likely has side effects, which in the long term lead to unsustainability, and thus fail. We must acknowledge that nature is a very complex thing, and that technological solutions tend to fail. Humans also tend to concentrate on the symptoms only, and by this don't search for a long-lasting solution. We shift the burden to a habitual solution. An example could be consumption, which detracts us from our unhappiness, but in the long term is not satisfying and even more, becomes addictive (side effect). Besides Heidegger, he cites Erich Fromm, who identified two modes in humans, the "being" mode, and the "having" mode. We have shifted away from the "being" mode, and tend to live more in the "having" more: The more you have (money, cars, stuff), the happier you are. We even measure our wealth by the gross national product. To describe the "being" mode, Ehrenfeld also borrows from Maslow and Max-Neef: while Maslow's pyramid of needs is incremental (you fulfill each need after another), Max-Neef says that all needs (he identifies subsistence, protection, affection, understanding, participation, leisure, creation, identity, freedom) must be fulfilled at the same time in order to achieve wholeness and happiness. I find this closer to reality than Maslow's approach. Ehrenfeld further describes that he doesn't believe that a shift towards sustainability will come from authorities: It must be a cultural shift. For him, the easiest way would be to re-design our everyday tools in order to make us more aware and steer our behaviour towards sustainability. He mentions for example a two button toilet, one button for a big flush, another button for a small flush. By offering a choice, responsibility is created, and a responsible behaviour can be automated in the long run. This is what he calls "Sustainability by Design". ...the test of a first-rate intelligence is the ability to hold two opposed ideas in the mind at the same time, and still retain the ability to function. Quick fixes to reduce unsustainability will not work in the long run, but they may still be useful to get started and to learn from. 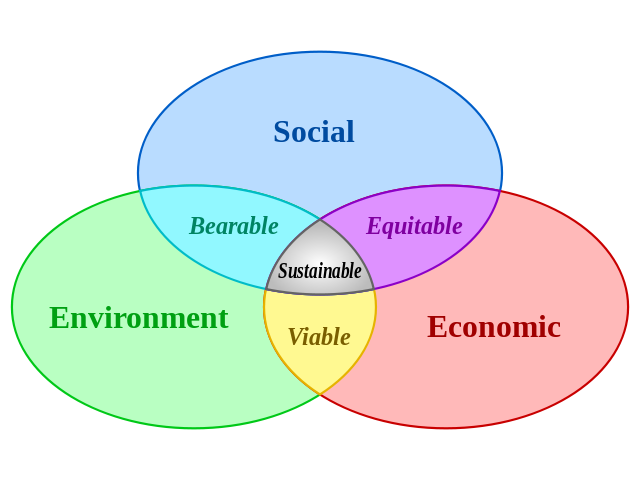 However, true sustainability will only come if human beings are able to return to the "being" mode by a paradigm shift. All in all an insightful, inspiring and well-written book with a relevant message, I urge you to read it. My copy of the book is now sitting on a shelf and would love to meet you; just let me know.